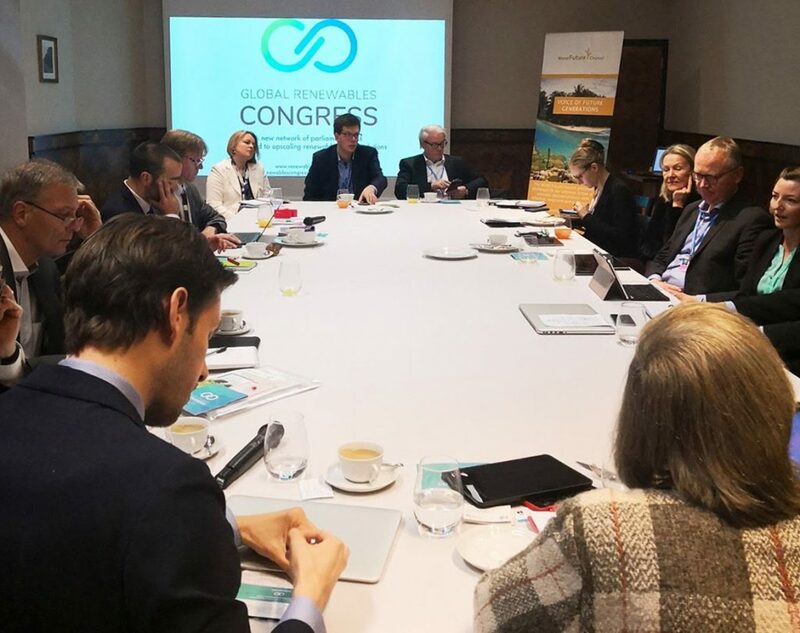 The Global Renewables Congress (GRC) was officially launched on Tuesday, 11 December 2018, against the backdrop of the 24th session of the Conference of Parties (COP) in Katowice, Poland. More than 20 legislators from around the world joined our launch and discussed their visions and hopes for how the GRC can support legislators in advancing the energy transition. 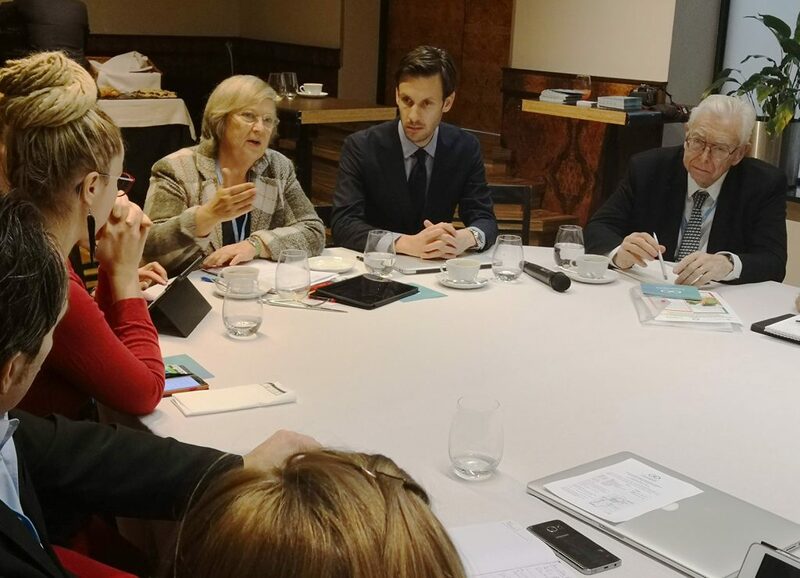 In line with the GRC’s aim, the meeting connected legislators from different governance levels and parts of the world to share their stories, experiences, and legislations. At the parliamentary breakfast, Dr Paul Durrant, IRENA, gave an overview of the status quo of renewable energy. Ms Bärbel Höhn, Chair of the GRC, former member of the German parliament and acting Commissioner for Energy Reform in Africa for the Federal Ministry of Economic Cooperation and Development, talked about the important role legislators play to accelerate the energy transition and the struggles they face. It is clear, that we are nowhere near on track to meet the goals of the Paris Agreement, “the good news is that a clean energy transition is technologically feasible, and that it can act as a catalyst for achieving the Agenda 2030; the bad news is that political will still falters and vested interests resist this transformation of our energy system. The GRC aims for the rapid and large-scale deployment of renewables and I am optimistic it will bring decision-makers together to create the synergies needed for this process,” argued Rob van Riet, Director of the Climate Energy Programme at the World Future Council. As the GRC moves forward it will take up some of the issues which arose at the parliamentary breakfast, including strengthening the role of legislators on all levels globally; accelerating the energy transition through capacity building for legislators on understanding their role and the role RE is playing for economic development, equality and climate change mitigation; the need for flexible energy production systems; increased consideration of how a just transition can be ensured; and how legislators can be better connected to other constituencies such as trade unions.